If you are considering selling your home or property, the first question most folks have is “how do I know what my home is worth?” Pricing is important when you list your home for sale. Overpriced homes will sit on the market for a long time with little if any showings. Underpriced homes are usually scooped up quickly but the seller is left without as much profit as possible. So, what’s a seller to do? 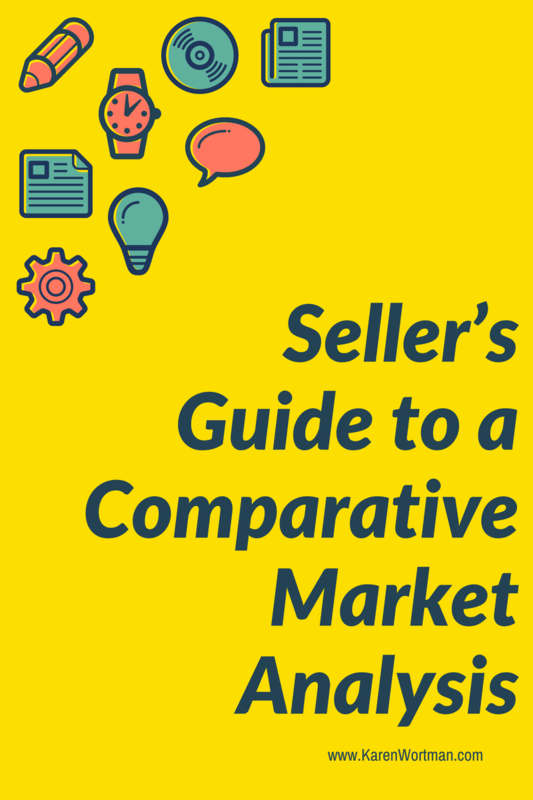 A Realtor can help you determine the market value of your home by doing a Comparative Market Analysis or CMA. While similar in some ways, the most important thing to know is that a CMA is not an appraisal. An appraisal is a bank function. A bank appraises a home to see if it is worth what the borrow is asking to borrow. Realtors do not do appraisals. To give you, the potential seller, a better idea of what a CMA is, let’s walk through the steps of how your Realtor completes the CMA. Step 1: As your Realtor , I will schedule a time to come out a visit your property. This is your opportunity to visit with me and show me around the your home. I will ask questions about the number of bedrooms, bathrooms, how you heat the home, if you use it seasonally or year round. Basically, this is my chance to get better acquainted with your property. I will not give you a price opinion at this time. There is research to do! Step 2: When I get back to the office, the research begins. The most accurate method to arrive at an accurate estimated value of your home is by analyzing existing data. I look for similar properties that have sold recently and then determine, through their likeness of your property, an accurate estimated price. In Northern Itasca County, I try to find similar homes on the same or similar sized lake if it is a lake home. We all know how important our lakes are to us and buyers are no different. I also pull tax data, GIS maps, and any historical data available. Step 3: After gathering the data, its time to analyze off of the information. For me, the easiest way is to use a spreadsheet where I can see how each home compares to the other. I look at square footage, number of Bedrooms & Bathrooms, number of garage stalls, lot size, and more. It’s important to remember that where we live and play, there are not many homes that are actually alike. But I look for similarities. I also use my past experience. Step 4: Once all of the data is compared, I will set a price that I believe your home should list for and a range I believe it will sell. Will you instantly agree with my opinion? Often not; sometimes yes. Remember, I am not basing my opinion on whether or not I like your home, I would buy your home, or anything else. My recommendation is based on data. You have emotional ties to your home, just like I have with my personal home. And we all place a value on those emotional ties just like we do with the number of bedrooms or the beautiful lot. Step 5: Once my CMA is complete, I will schedule another meeting with you at your home to go over the results of my market analysis. I will leave with you all of the data I pulled to arrive at my price strategy, my spreadsheet showing the similarities, and more. When you request that I do the CMA for you, you are under no obligation to list your property at that time, nor are you obligated to list with me. Of course I’d love to get your business, but no pressure from me. I will leave the information with you and am always happy to answer your questions or have a more in-depth discussion about a pricing strategy when you are ready to sell. Tax Value and Market Value are not always the same. Always go with an agent that you feel will best represent your interest and do the best job marketing your property.